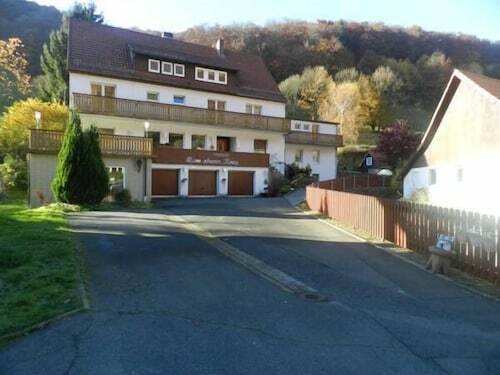 Situated in Herzberg am Harz, this golf apartment building is 7.5 mi (12.1 km) from Unicorn Cave Prehistoric Burial Site and within 16 mi (25 km) of Osterode Old Castle and Old Town Hall. Walkenried Abbey and South Harz Nature Park are also within 20 mi (32 km). Situated in Herzberg am Harz, this hotel is within 12 mi (20 km) of Unicorn Cave Prehistoric Burial Site, Osterode Old Castle, and Old Town Hall. Harz National Park is 12.4 mi (19.9 km) away. Situated in Herzberg am Harz, this hotel is within 9 mi (15 km) of Unicorn Cave Prehistoric Burial Site, Osterode Old Castle, and Old Town Hall. Walkenried Abbey and Forest Stage Northeim are also within 20 mi (32 km). Herzberg Schloß Station is 11 minutes by foot and Herzberg am Harz Station is 18 minutes. How Much is a Hotel Room in Herzberg am Harz? Hotels in Herzberg am Harz start at $47 per night. Prices and availability subject to change. Additional terms may apply. For those adventurers that find themselves traveling through Harz and decide on making a stop in Herzberg am Harz, there are a select number of lodgings. 2 accommodation options are within 6 miles (10 kilometers). 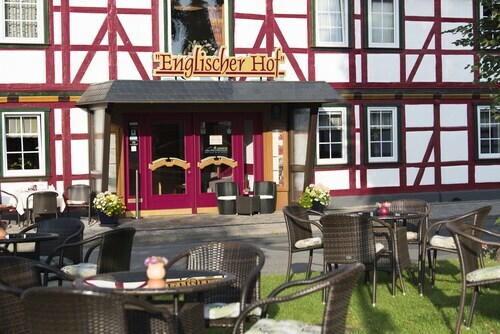 The Wm Hotel Englischer Hof is the closest Travelocity accommodation option to the central area of Herzberg am Harz and is just a short drive away. 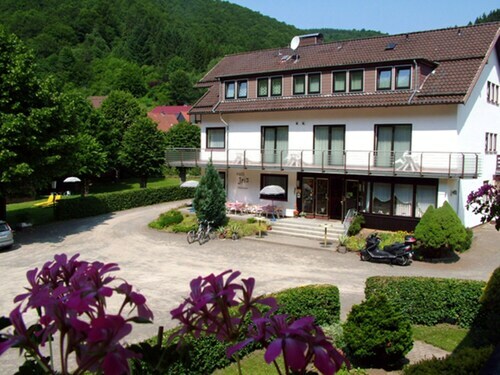 The Maritim Berghotel Braunlage is around 14 miles (22 kilometers) from the heart of Herzberg am Harz. Another hotel is the Braunschweiger Hof, which is positioned 20 miles (33 kilometers) away. More hotel and apartment options worth checking out are the Hotel Riemann along with the Hotel & Restaurant Zum Röddenberg. While you are here in Herzberg am Harz, try and leave enough time to look at more of what Saxony-Anhalt has to offer. Saxony-Anhalt is well known for its forests, rivers and streams. Commonly visited traveler destinations are castles. Energetic travelers may also love snowboarding, skiing and cross-country skiing here. Goslar is 20 miles (32 kilometers) north of Herzberg am Harz and features Goslar Imperial Palace and Mines of Rammelsberg. If you're planning to stay in Goslar, check out the Altstadt Hotel Gosequell and RAMADA Hotel Baeren Goslar. 15 miles (25 kilometers) to the east of Herzberg am Harz, you may also choose to stay at Sorge, which is home to the Hotel Tannenpark and Landhausferienwohnungen Am Brockenblick. If you come to Sorge, don't miss the Grenzlandschaft and Museum Sorge and Ring der Erinnerung. Ensure you get your sporting fix with a journey to HDI Arena, which is 55 miles (92 kilometers) to the northwest of Herzberg am Harz. Modern travelers that would like to book Travelocity-listed hotels close by can read about the Cityhotel Königsstraße or the Sheraton Hanover Pelikan Hotel. Located 50 miles (84 kilometers) from the heart of Herzberg am Harz is Erfurt Airport. 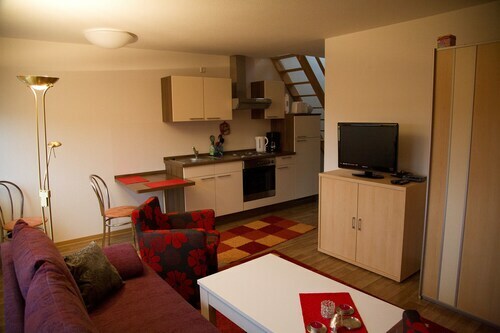 Base yourself nearby at Airport Hotel Erfurt or Hotel & Restaurant Park-Cafe ISA.